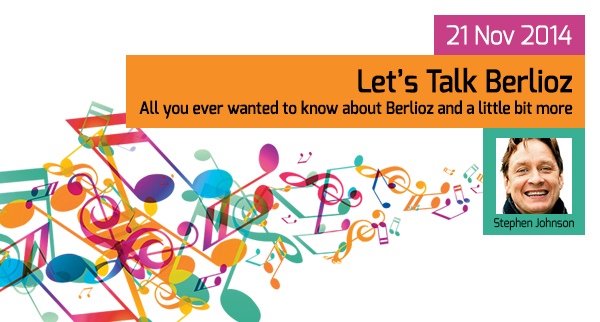 All you ever wanted to know about Berlioz and a little bit more. If I were threatened with the burning of all my works except one, it is for the Requiem that I would beg for mercy. Join one of the UK’s leading music journalists on a foray into the innermost workings of the unconventional, egotistical Frenchman who composed this monumental work. Stephen Johnson is the presenter for BBC3’s Discovering Music. I would like to write a short note to express my appreciation of your Discovering music program. I have tried several times over the years to “get into” classical music but have always struggled. I finally realised that I had to sit and listen to it, rather than having it on in the background. Once I started really listening to it, I began to enjoy it, but I didn’t understand it. I found that reading a little about the piece helped but I was usually overwhelmed by terminology and unsure of what it was I was suppose to be listening out for. I then came across your show, and what a revelation it was. The background you provide, coupled with description, analysis and helpful metaphors, illustrated with live examples, has transformed my listening. Access: please note that the Parliament Room is lovely but is part of an ancient building. It has no lift and is accessed via two short flights of stairs.